The Scottish Parliament Building at Holyrood. The Scottish Government’s 2012 Offensive Behaviour at Football Act will be repealed next month, after MSPs voted to remove it. Labour MSP James Kelly’s repeal Bill passed its final stage yesterday by 62 votes to 60. It means a religious hatred law included in the Act will also be scrapped. The Christian Institute’s Director, Colin Hart, welcomed the move, but warned it may be “a temporary reprieve” because of an ongoing hate crime review. 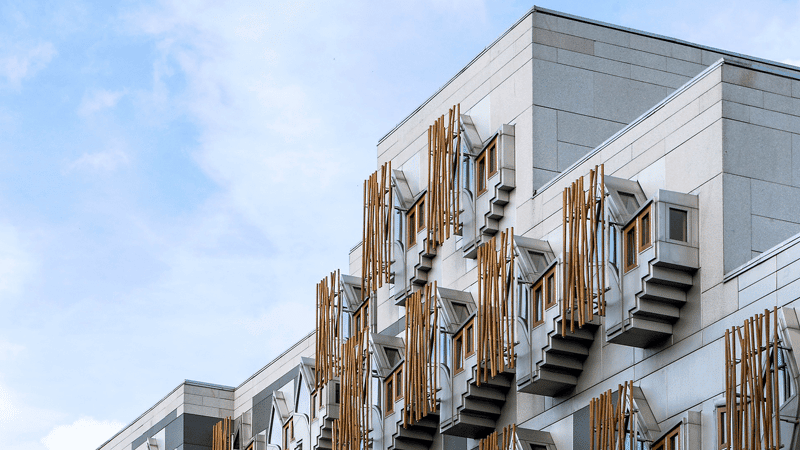 Lord Bracadale QC – appointed by Scottish ministers to undertake a review of hate crime legislation – is expected to suggest new hate crime provisions when his report is published later this year. As well as addressing football-related conduct, the 2012 Act created an offence of ‘stirring up religious hatred’ that threatened religious liberty. After pressure from The Christian Institute and its supporters, a free speech clause was inserted into the religious hatred law, ensuring that evangelism and discussions about faith would not be criminalised. Mr Hart said: “The free speech safeguard in the final 2012 legislation was very robust. Of course, abolishing the offence altogether is even better. But we may only have a temporary reprieve. “Lord Bracadale may well suggest new hate crime provisions when his report is published later this year. In today’s secular society, disagreement is often labelled as ‘hatred’. “There have already been unjust attempts in Scotland and the rest of the UK to use hate crime laws against Christian street preachers and others.